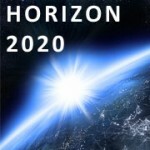 The European Commission has pre-published, the Horizon 2020 Work Programme for ICT, with calls up to 2020. The finalised document is due to be released in October 2017, with calls due to open in the coming months with the first deadlines in April 2018. These calls will be available via the Participant Portal. This early notice may assist you in setting up new collaborations with a view to submission or match your existing research network connections. Please nogte that this document is still in draft so details may be subject to change prior to final publication. Digital technologies underpin innovation and competitiveness across private and public sectors and enable scientific progress in all disciplines. The topics addressed in this Work Programme part cover the ICT technology in a comprehensive way, from technologies for Digitising European Industry, HPC, Big Data and Cloud, 5G and Next Generation Internet. Pursuing the change initiated under Work Programme 2016-2017, activities will continue to promote more innovation-orientation to ensure that the EU industry remains strong in the core technologies that are at the roots of future value chains. The Digitising European Industry initiative aims to establish next generation digital platforms and re-build the underlying digital supply chain on which all economic sectors are dependent. The initiative should enable all sector and application areas to adapt, transform and benefit from digitisation, notably by allowing also smaller players to capture value. Digital Platforms are becoming a key factor in one sector after another, enabling new types of services and applications, altering business models and creating new marketplaces. Actions under this heading will provide extensive support to key DEI components in Photonics, Robotics, Manufacturing technologies and Cyber-Physical Systems. Support to Micro-electronics, in particular for higher TRLs, will continue through the ECSEL Joint Undertaking. In addition, innovation hubs and platforms, two key DEI objectives, will be supported through a Focus Area on Digitisation and Transformation of the EU industry, implemented in cooperation with other programme parts. In April 2016, the Commission issued a communication outlining its strategy for allowing the European Union to fully seize the opportunities offered by digitisation across industrial and services sectors. Beyond the support to key technological areas, an essential aspect is to foster the uptake of digital technologies and innovations, as well as synergies with other key enabling technologies. The ‘digitising and transforming European industry and services’ focus area ambitions to support Horizon 2020’s contribution to the implementation of this strategy, through projects cutting across technological boundaries and reinforcing links between LEIT and Societal Challenges. 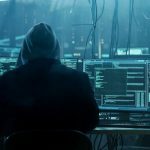 Within the next decade cybersecurity and privacy technologies should become complementary enablers of the EU digital economy, ensuring a trusted networked ICT environment for governments, businesses and individuals. The EU ambition is to become a world leader in secure digital economy. Within this call, applications to increase system resilience, support privacy and countering cyber attacks. Topics within this call are to include the hyper-connected society in the context of the Smart City and 5G applications and beyond. Other activities are included in this pre-publication draft. If you are considering applying to any of these calls, please contact Emily Cieciura, RKEO’s Research Facilitator for EU and International funding. 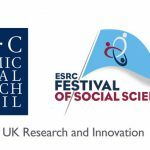 The event will be of greatest interest to ICT researchers that have completed a PhD (or equivalent qualification) within the previous ten years, are eligible to hold an EPSRC grant and hold few or no grants as Principal Investigator. However, they do not wish to be prescriptive based on years of post-doctoral experience and welcome applications from prospective participants with a different pattern of academic experience, early career researchers based in industry and postdoctoral research assistants who are hoping to take lectureship positions in the near future. The internal assessment process will take into account the need for a balance of attendees across career stages. If you are interested in applying to attend a workshop, please can you let the RKEO Funding Development Team know as we would be interested in receiving feedback on the workshop content. IT giant, Intel Corporation, is undergoing a massive shift in strategy. While jobs fall by the wayside, Intel has its eye firmly on what analysts are calling ‘new frontiers in technology’, and there are signs that the other tech behemoths are set to follow suit. Last week, Intel CEO Brian Krzanich outlined his strategy for the chip giant in the years ahead, as it struggles to move away from its dependence on the waning PC market. • The cloud is the most important trend shaping the future of the smart, connected world – and thus Intel’s future. 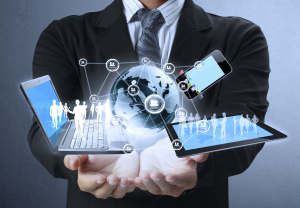 • The many “things” that make up the PC Client business and the internet of things are made much more valuable by their connection to the cloud. • Memory and programmable solutions such as FPGAs will deliver entirely new classes of products for the data centre and the internet of things. • 5G will become the key technology for access to the cloud as we move toward an always-connected world. • Moore’s Law will continue to progress and Intel will continue to lead in delivering its true economic impact. Key to this is the “internet of things,” every device, sensor and console that has potential to connect to the cloud. This means that everything that a “thing” does can be captured as a piece of data, measured in real-time, and becomes accessible from anywhere. In a time when technology is valued not just for the devices it produces, but for the experiences it makes possible, Intel is banking on the fact that a broader focus, and sharper execution will enable the company to take a lead in a smart, connected world. Several major corporations have already taken the initiative to push frontier technology, such as Google with its Google Cardboard and Apple’s eventual (maybe?) 3D printer. Layoffs are the inevitable result and, in many cases, are already happening, as more and more companies find themselves having to look in new directions. With Apple’s iPhone production on the decline comes more evidence that companies’ defining products won’t be what sustains them into the future and that Intel and Krzanich’s new focus on experiences rather than the devices that make these possible is the way to go. Is this an area of research you are interested in? Sign up to receive information on this and similar topics – Knowledge Transfer Network (KTN) – ICT. Innovate UK has launched a funding competition for feasibility studies with up to two million pounds funding available. A briefing event for this competition was held on 25 November. You can view the webinar recording here. For any queries on this competition, please contact support@innovateuk.org. Free event on ICT in Horizon 2020! Any information at this early stage as to what is coming up in Horizon 2020 is very useful and any events where you can meet with others in your field to build relationships and potential collaborations is invaluable. You can combine both of these by attending an ICT in Horizon 2020 half day event in Bristol on October 7th. In partnership with the ICT Knowledge Transfer Network, the ICT National Contact Point and Deloitte UK, the completely free information event will provide an introduction and update on funding support for R&D in the ICT sector under Horizon 2020. You will to receive an overview of the proposed ICT Work Programme for 2014 and hear from speakers with extensive experience in EU funding participation so this looks to be a super event! You can find out more and book your place by clicking here. 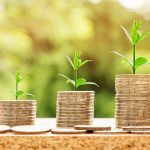 Focus of Funding – what’s different? : Europe 2020 marks out the goal to increase the number of healthy life years by 24 months by 2020 and Horizon 29020 funding will be geared towards this, focusing on health and quality of European citizens, the growth and expansion of EU industry in this area and long-term sustainability and efficiency in health and social care systems. 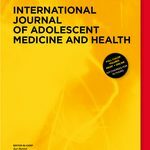 The health focus of Horizon 2020 will therefore be the challenge of an ageing population across Europe and in particular the health inequalities within this. 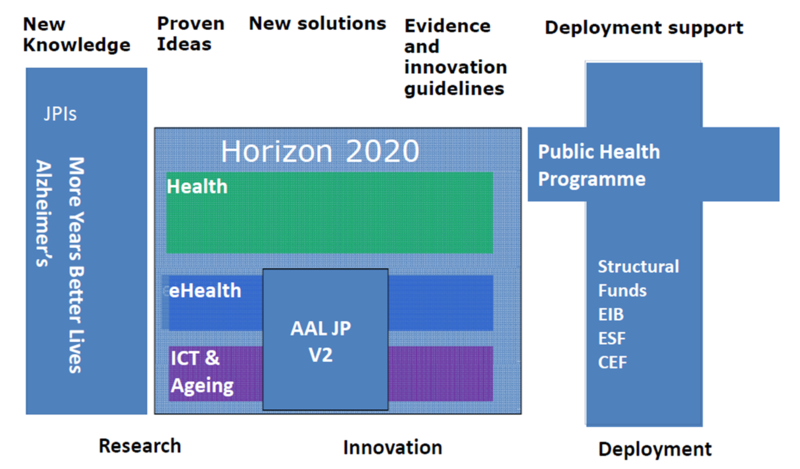 Horizon 2020 will seek to transform the challenges into opportunities, focusing on active ageing, integrated care, large efficiency gains of new care modules and looks at the financial aspect that the health care market is worth €3000bn and has 85 million consumers which is ever increasing. Horizon 2020 marks a paradigm shift of ageing from a societal challenge to a major opportunity; from a burden to an asset; from acute reactive care to preventative, proactive care; and from a focus on curing diseases to improving functioning. There will be an increased focus on dissemination; not just discovering new ways to help people live longer, but getting this to ordinary EU citizens so they can begin to change their lifestyle. 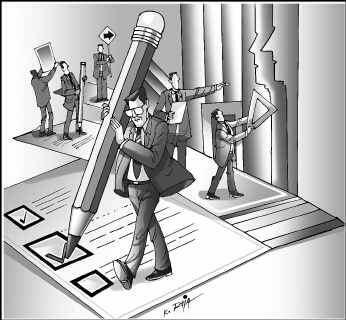 Involving end users will be key. How can I prepare – finding Partners: The European Innovation Partnership on Active and Healthy Ageing is the first attempt to bring together interested parties from public and private sectors to deliver innovative solutions for an ageing society. The EIP website is currently being revamped, but this is a key time to sell your research expertise to others through this virtual marketplace. Advertising your areas of knowledge and skills can help you gain partners to submit for calls under Horizon 2020. More than 4000 researchers, innovators, entrepreneurs, industry representatives, young people and politicians are expected to attend ICT 2013 in November.The event will focus on Horizon 2020 and includes conference presentations, networking sessions, investment forums. This is a key way to gather more info on what to expect under ICT Horizon 2020 calls and to network and gain a collaborative group. You can register for the event here. 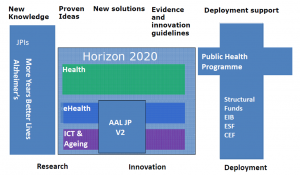 So you want a say in how Horizon 2020 will be but not sure how? Well, there are a number of consultations open for you to have your say – participate and start to shape EC funding for the future. Opening up Education through New Technologies: The objective of the consultation is to explore the need for EU action to promote the use of Open Educational Resources (OER) and of Information and Communication Technologies (ICT) in education. The consultation is carried out in the context of a Commission Communication on “Rethinking Skills” planned for the end of 2012 which will announce a new EU initiative on exploiting the potential contribution of ICTs and OERs to education and skills development. A further Commission Communication on this is expected in mid-2013. Marine Knowledge 2020: From Seabed Mapping to Ocean Forecasting: The European Commission is proposing to create a digital seabed map of European waters by 2020 by collecting all existing data into one coherent database accessible to everyone. The consultation closes on 15 December 2012. 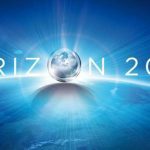 Fuel Cells and Hydrogen JTI under Horizon 2020: The Fuel Cell and Hydrogen Joint Undertaking (FCH JU), a Public Private Partnership (PPP) set up between the European Commission and industry, was established in 2008. 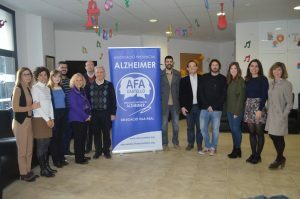 The research community also later joined the initiative. Its objective was to significantly accelerate the market introduction of the fuel cell and hydrogen technologies, in order to realise their potential as way to achieve a lower carbon energy system. The consultation aims at collecting the views of the wider public on the fuel cells and hydrogen sector, on research and innovation in this field in Europe, and in particular on the possible continuation of the FCH JU for the implementation of FCH research in Horizon 2020. Regular readers of the EU section of this blog will know that I harp on all the time about the importance of company engagement as partners in Horizon 2020. Well, this is becoming more and more apparent as time draws near to the first set of drafts for the new Horizon 2020 programme. It was announced this month that the EC is funding a survey as part of a drive to increase the participation of companies from the information and communications technologies in future research programmes. The survey aims to identify and characterise highly innovative ICT companies that do not participate in Framework projects, and assess why. The knowledge gained will be used to improve firms’ participation in Horizon 2020. Now is the time to start making links with industry as much as you can! As many of you will know from my previous blogposts, I am always emphasising the importance of enagaging SMEs for Horizon 2020. Last week the EC has funded a survey aimed at increasing the participation of innovative companies from the information and communications technologies (ICT) in future research programmes. The survey aims to identify and characterise highly innovative ICT companies that do not participate in Framework projects, and assess their reasons for non-involvement. This is expected to feed into recommendations to improve the participation of SMEs in Horizon 2020, in a final report due in February 2013. 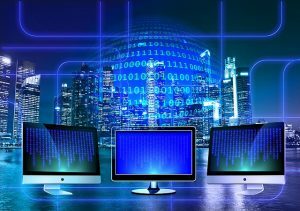 The EC is exploring future developments for 2 of its Joint Technology Initiatives on electronic components and embedded computer systems under Horizon 2020 (Artemis and Eniac). 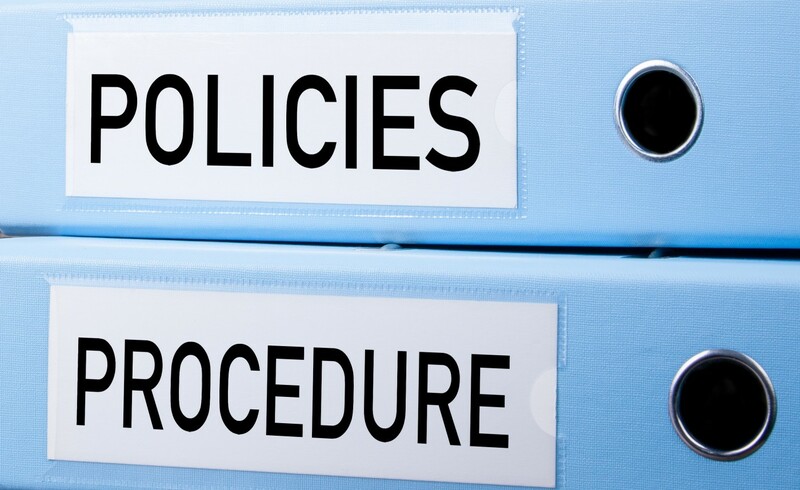 There is a consultation currently open which will end in October; it has been suggested that the two initiatives should be merged as they cover similar elements. Have your say on what should happen by joining in the consultation. An free to attend infoday on funding opportunities under ICT Call in the areas of the Internet of Things and digital enterprise will be held in London on 12 September 10am-4pm. It will offer attendees the opportunity to network and share ideas as well as providing an overview of funding available in ICT Call 10 and future calls, including ongoing research, road mapping activities and collaborative groupings in Europe. While the event is free, you have to register in advance on the the event webpage. 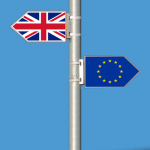 This is a reminder that an information event for those planning to participate in the final round of calls under the Information Communication Technologies (ICT) theme in FP7 is being held in London on 18 July. 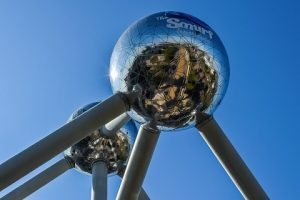 The event, called ‘ICT – The Future of EU Collaborative R&D’ is being jointly hosted by the ICT Knowledge Transfer Network (KTN), the Department for Business, Innovation and Skills (BIS) and the Technology Strategy Board (TSB). With speakers from the European Commission, BIS and the TSB, the sessions will provide an overview of opportunities both in the final round of ICT calls under FP7 and give insight into ICT research under Horizon 2020. 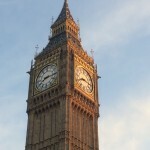 The event runs from 10am until 4pm and will be held at the Royal Academy of Engineering. It is free to attend but delegates must register. Info days are a fantastic way to not only hear more detail about a call and its requirements but are a fantastic way to network!